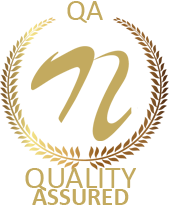 DC motors play an important role in industrial as well as other commercial systems. Motors are a major part of various machinery. 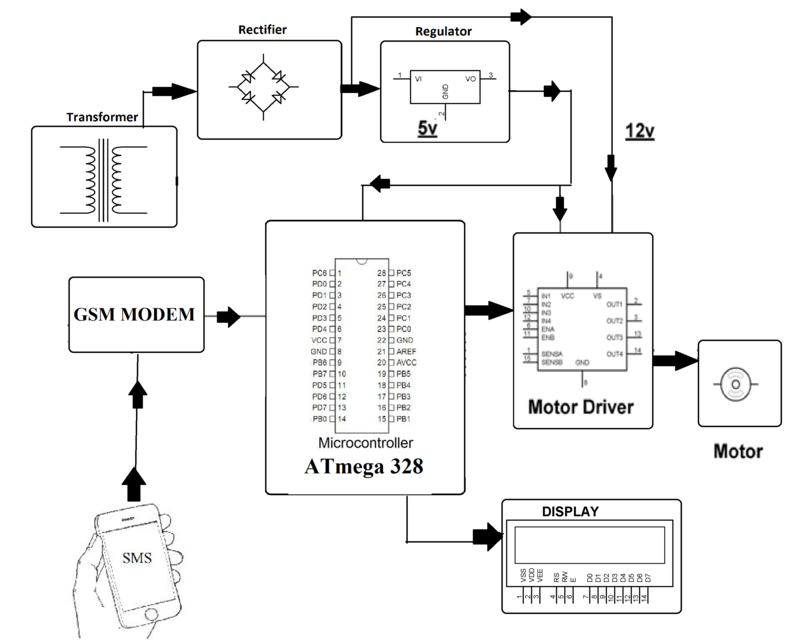 So controlling of motors over GSM allows user to control machines from anywhere in the world using SMS message commands. 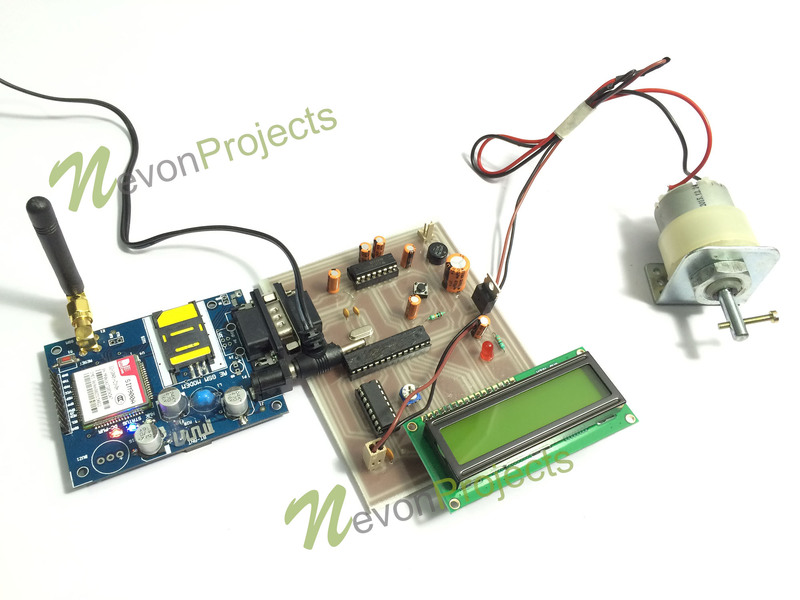 We here use an Atmega microcontroller circuit along with GSM modem, a DC motor, LCD display and required circuitry to make this system. This system first allows user to configure a number from which to receive commands in configuration/settings mode. After that the system listens to SMS messages received on the GSM modem. The on receiving the message it checks of it was received from a registered number. If not, the message is rejected. If the number is valid one system now reads the message to check the command in it. 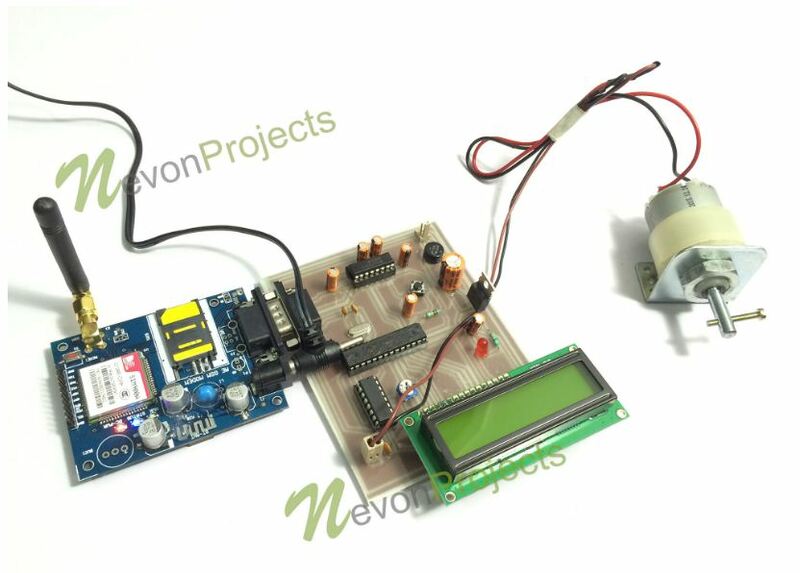 On receiving proper commands the system operated the DC motor to achieve the user desired motion along with speed. 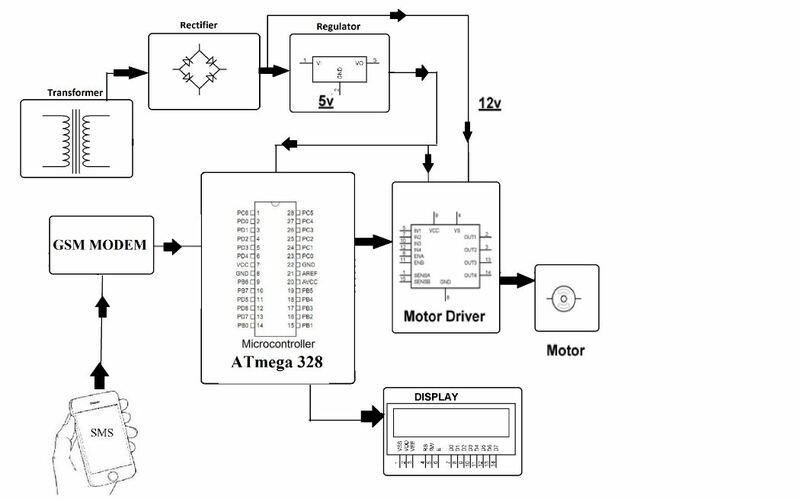 The system thus allows to control DC motors over large distances.